MFT Countdown: 2 | A bit of this. A bit of that. Just two more days until the June release is available from My Favorite Things. Hooray! And yep. You know me. I’ve got a couple more things to share with you that I whipped up with the new release. Please give it up for Card #1. See those stars? 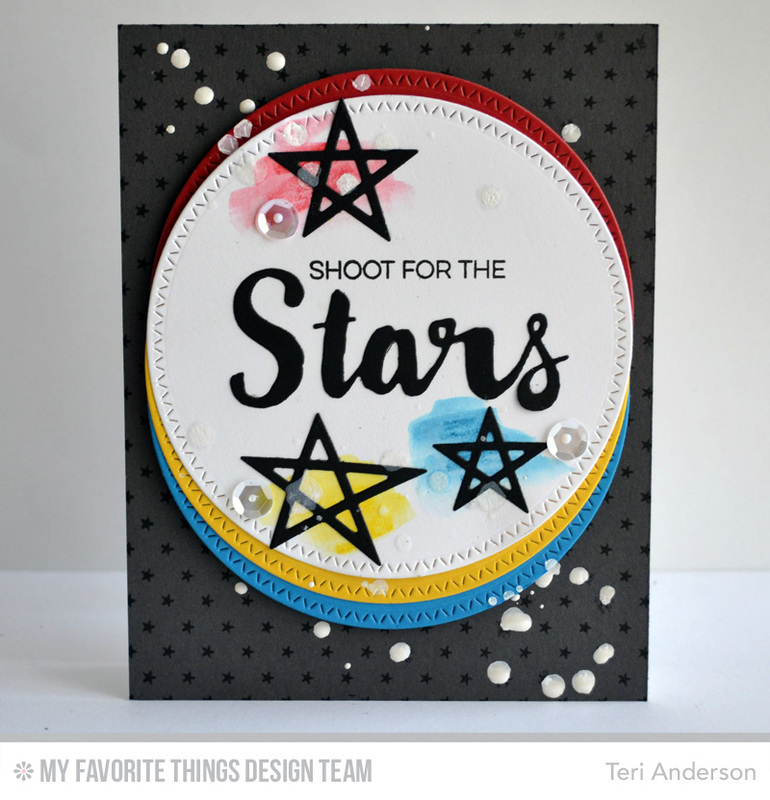 They started out as just plain old stars cut from white cardstock with the new Lucky Stars Die-namics. 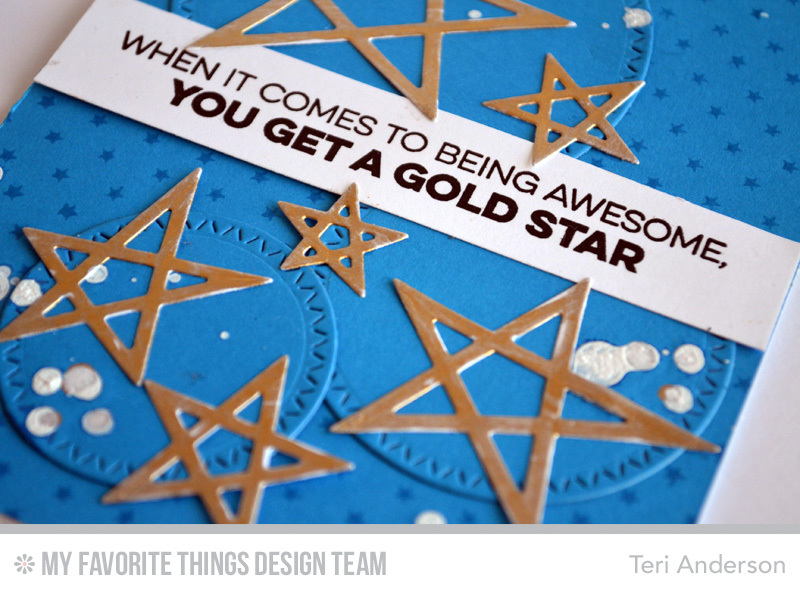 I was determined to use the sentiment (from the new Count the Stars stamp set) so I gave my stars the gold treatment. What’s that you ask? Simple. I colored over them with a gold pen. You could achieve a somewhat similar look by brushing over them with a gold ink pad. 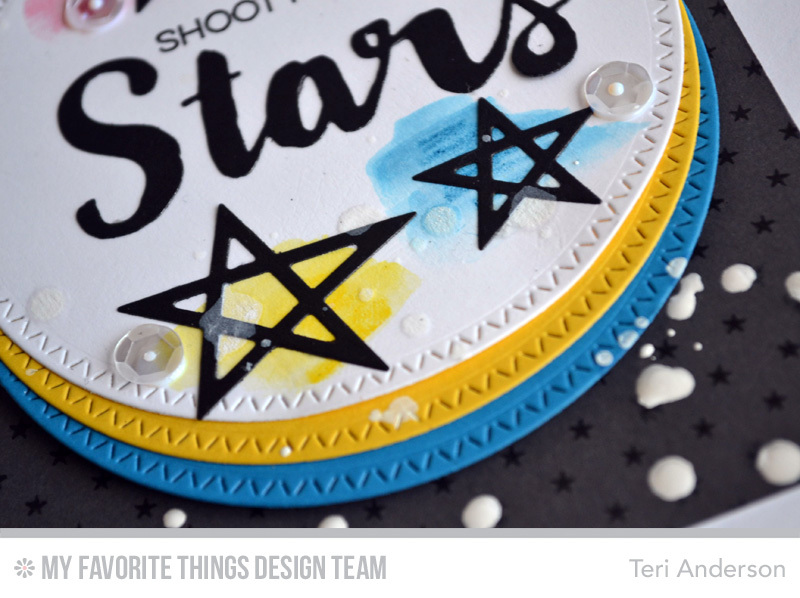 To give the stars an artsy look, I randomly applied a little color to the circle and then applied the black die-cut stars (also cut with the Lucky Stars Die-namics) on top. Easy peasy! Oh! And that sentiment? It was created by pairing together the Count the Stars stamp set with the Stars & Wishes Die-namics. They, along with the rest of the June release, arrive at MFT on June 2nd at 10 p.m. EST. Be sure to hit the MFT blog to see who else from the design team is sharing projects today. Very nice. I love the colors. Thank you so much for sharing. I have a set of stars… but if I’m ‘lucky’ I’ll add this one to the list!!! Great cards and great colors! Very nice cards Teri. I really like the gold stars on your first card. Love the gold stars paired with the sentiment. Great colors that so enhance the stars. 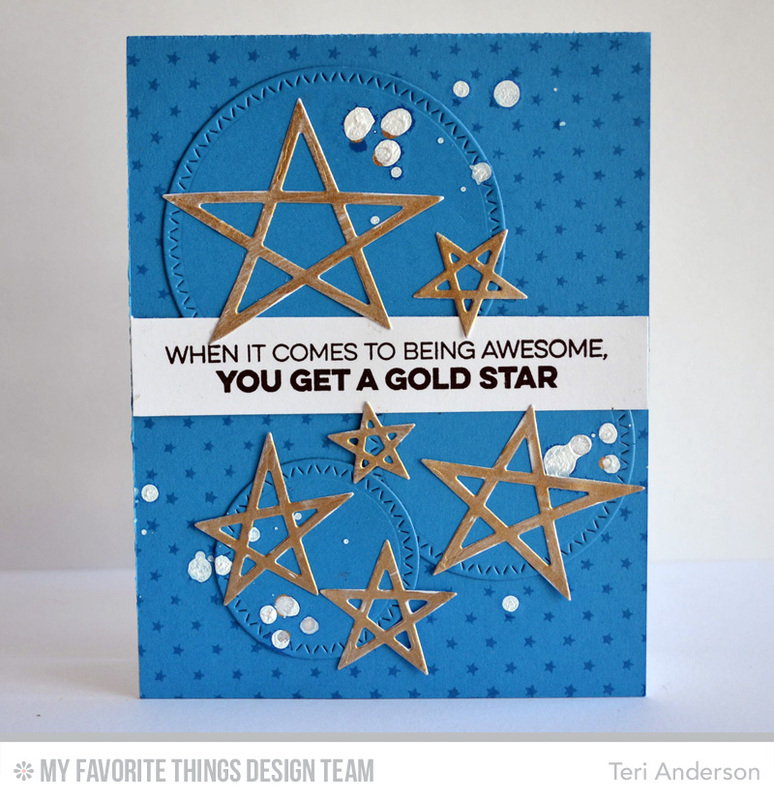 The blue card stock with the stars is stunning.